The water was reflecting a spectacular Colorado sunset. 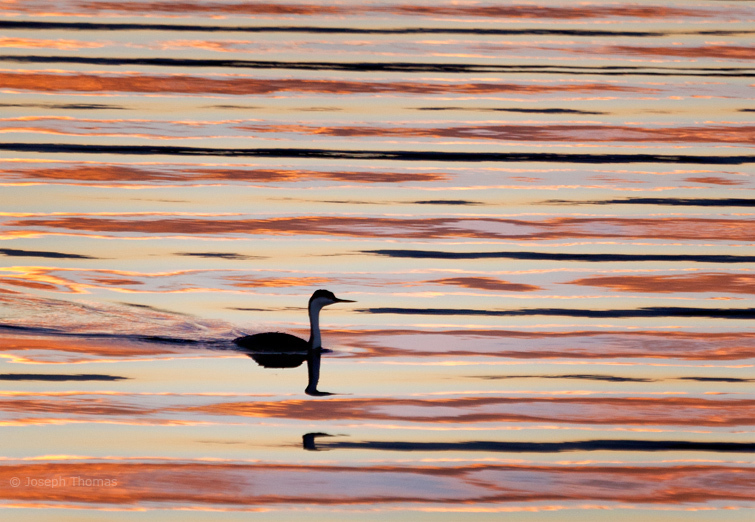 I had to run around the shoreline like a madman trying to keep the most vivid reflections around the grebe. Making my task more challenging was the fact that the bird spent more time under the water than on it. So I had to learn to anticipate where it would pop up next.